The Southeastern Wildlife Exposition stewards student art each year since taking the reigns for the South Carolina Junior Duck Stamp competition. Four different competition groups are formed between Kindergarten and Twelfth grade entries that are judged by members of the S.C. Ducks Unlimited leadership, among others. The results are in and Abi O'Donnell from Thomas Cairo middle school in Mount Pleasant is the 2018 S.C. 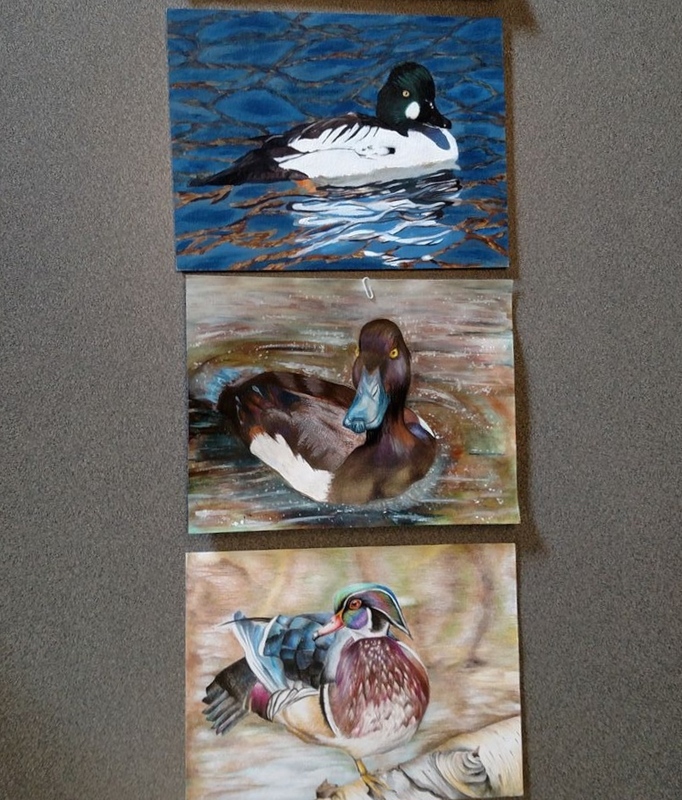 Junior Duck Stamp Best Of Show. Her entry will advance to the Federal Junior Duck Stamp competition on April 20. Nature is the basis of art, beauty in its truest form. It is our job as artists to preserve its authenticity. Conservation is not only for wildlife, but also for those who look to nature for life. Conserving a habitat saves more than a species, it preserves their beauty and grace for everyone to enjoy. 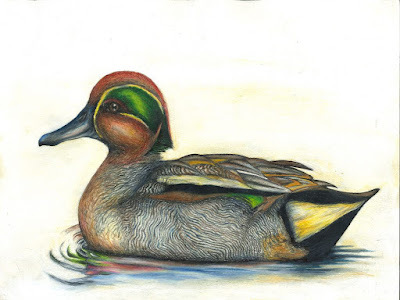 Just as lake ripple when a fowl's feathers touch the water, the actions that we execute spread beyond us, affecting our environment.